Jim Cantonis is president of Acme Sponge and Chamois of Tarpon Springs, Fla., a successful processor and wholesaler of marine sponges and sheepskin chamois products sold around the world. 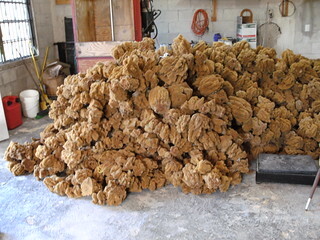 Florida Sea Grant contributes to the company’s success by conducting research in the biology of marine sponges that helps ensure the sustainability of the commercial fishery. Q: Tell us about the sponge industry in Florida. Cantonis: The natural sponge industry in Florida has had its ups and downs over the last few decades. It surged in the ’80s when there was blight in the Mediterranean. Mediterranean sponges have come back, so it’s leveled off the industry activity here. We still maintain a higher level of fishing than we had prior to that boom in the late ’80s, but not close to what we used to see in the 1920s and ’30s. Q: Where does most of the sponge activity take place in Florida today? Cantonis: Most of the activity in Florida now, 70%, is occurring in the Keys. 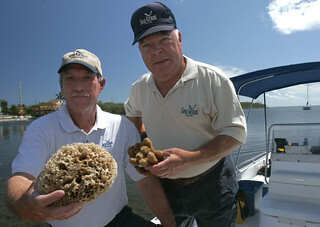 But sponges are also fished off the west coast of Florida, primarily from Tarpon Springs north to Cedar Key. Q: Tell us about Acme Sponge and Chamois. Cantonis: I’m the fourth generation of the family business going back to the Mediterranean, a little island in Greece called Symi. That was the roots of our company, but we actually started in the U.S., in NewYork City, when my dad at the age of 21 borrowed a thousand dollars and went there and started peddling Mediterranean sponges out of his trunk. Subsequently we moved to Chicago, then moved the whole operation down here in 1977. The new building we’re in today we built in 1985 to help us process sponges at a higher rate. Q: What accounts for the 30% growth your business has seen over each of the last two years? 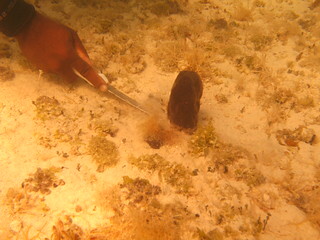 Q: How does sponge fishing relate to Florida Sea Grant? Cantonis: Without Florida Sea Grant there would be no sponge fishery in Florida. The research done by Sea Grant and other researchers tells a wonderful story. At current harvest levels, sponges are truly a renewable resource. Sponge tissue left behind after harvesting can actually regenerate to produce a new sponge. No other fishery resource that I know of can tell the same story. This is why it is important to rely on objective scientific evidence in evaluating the management of our fishery resources. These are facts, not just conjecture by well-intentioned folks that don’t have all the information in front of them. Q: In what ways are you engaged with Florida Sea Grant? Cantonis: I’m involved on the Sea Grant advisory board now as vice chairman, and I value the time. It has given me the opportunity to work with all of the various constituencies concerned with the health of our coastlines from commercial fishermen to sport fishermen, from environmentalists to research scientists, to other industries unrelated to the fisheries that are directly involved in wanting quality waterways and a healthy Florida ecology. Q: How can other business leaders become involved? Q: How does Sea Grant ensure its relevance to Floridians? Cantonis: It’s applied science,so it is science to me at its best. It’s not just the fisheries. It has impact on every aspect of our lives in Florida. Eighty percent of the population of Florida is within 20 miles of the coast. So we’re all directly impacted by the threats of hurricanes — by the threats of sea-level rise. And all of those things are concerns of Sea Grant.